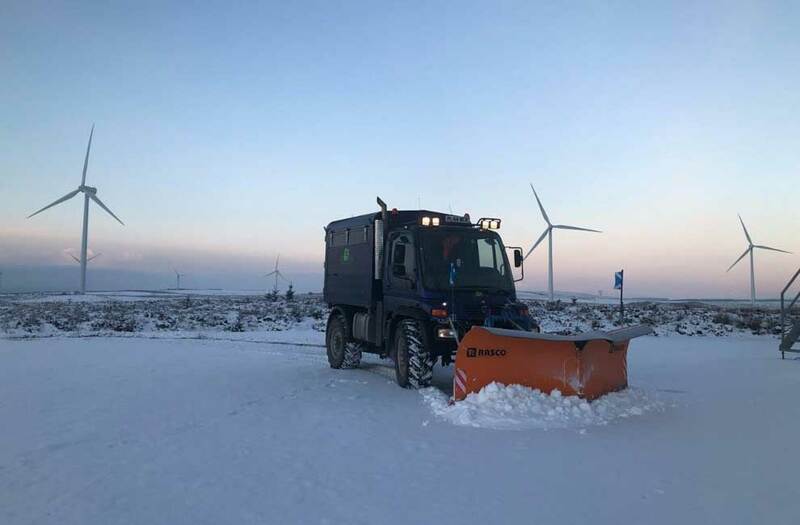 D Horne services Ltd provides regional snow clearance and gritting service for private and public services. We offer a planned preventative or reactive service tailored to your requirements complete with 24/7 emergency cover. Taking information from the Met Office weather site for your location we monitor the situation for the predicted ground conditions and react accordingly. We receive regular updates via text and email from the Met office once the temperature triggers (below 5°c). We use this information, combined with the service delivery you have requested to forward plan giving you the best option to ensure safe sites for pedestrian and vehicle movement in times of inclement weather. We use all this valuable information to not only forward plan but to also target delivery only when and where required, and this in turn could help to control limited budgets. As with our ground maintenance service, we have invested in quality equipment and machinery to get the job done quickly and efficiently to a high standard. As a team of professional ground maintenance and landscapers, we are aware of the living landscape. 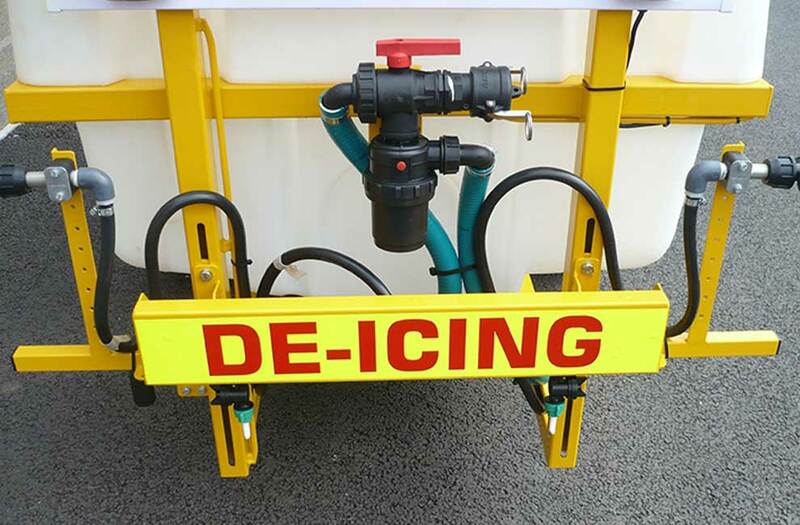 We minimise plant damage by accurately placing salt on site using specialist equipment. Planted areas are rarely used for pedestrian access so we can usually provide a winter maintenance service that doesn’t damage plant life or garden areas. When and if required our teams will work through the night to ensure the best service delivery possible to our customers. 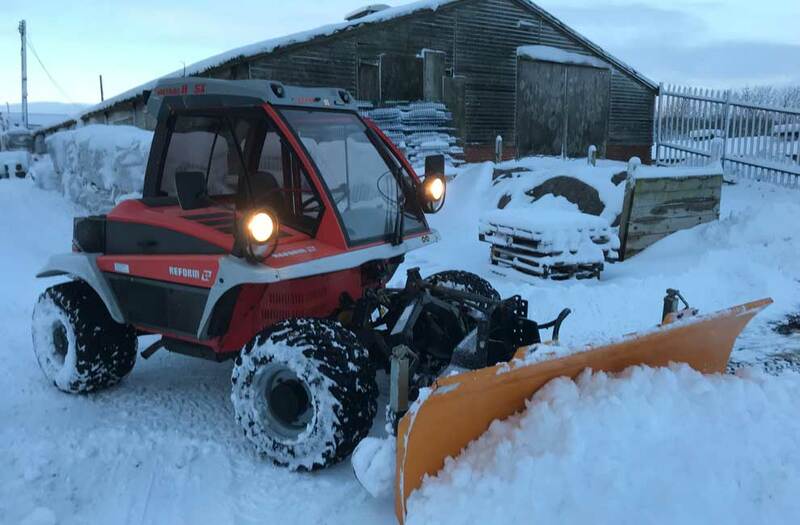 The clearance of fallen snow in car parks and any other publicly or commercially used surfaces for access and safety is a duty of care for the owners of the land. 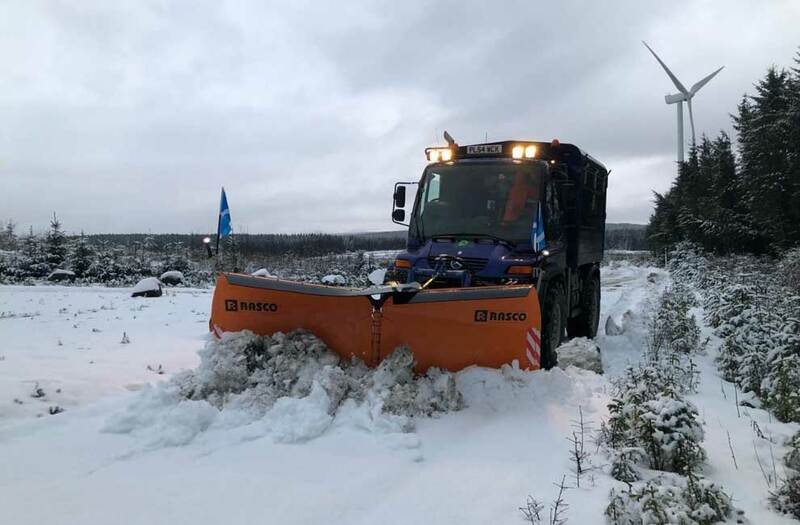 We provide a fully preventative gritting service or use tractor mounted snow blades and front end loaders to move deep drifts, followed by regular gritting to provide on-going protection. We tailor a wide range of options to offer both businesses and private accommodation a comprehensive winter maintenance service. We can offer reactive maintenance or you can put an agreement in place in advance to ensure that you are ready for the winter months. We also offer pay as you go contracts so that you only spend if and when you need it. Please get in touch to discuss these options and make sure that your business or dwelling is prepared. Forward planning is the key to avoiding problems. Please react now by letting us know that you require this service. The earlier you help us the better we can prepare to help you. Please apply BEFORE the season starts. Our winter clearance resources are always in demand. It is always better to be prepared, than disappointed.